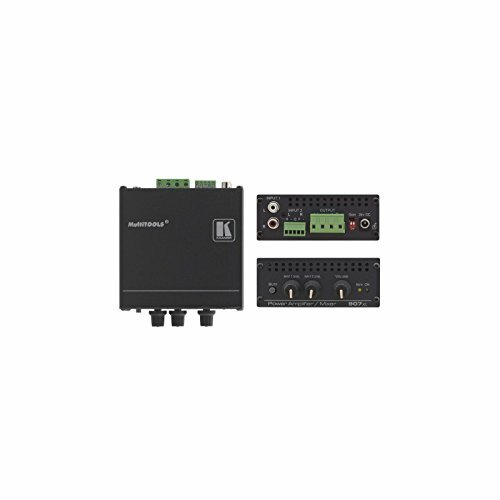 The 907xl is a high-performance power amplifier for line-level stereo audio signals. It accepts a balanced stereo audio signal on a terminal block connector and an unbalanced stereo signal on RCA connectors. It delivers 40 watts per channel into an 8 OHMS load. If you have any questions about this product by Kramer, contact us by completing and submitting the form below. If you are looking for a specif part number, please include it with your message.